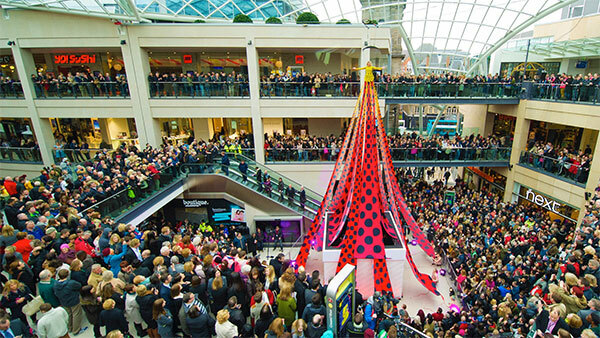 We were tasked to deliver an eye catching stunt for the opening ceremony of the Trinity Shopping Centre in Leeds. Our team collaborated with architects and engineers to create a magical memorable moment for the customers. 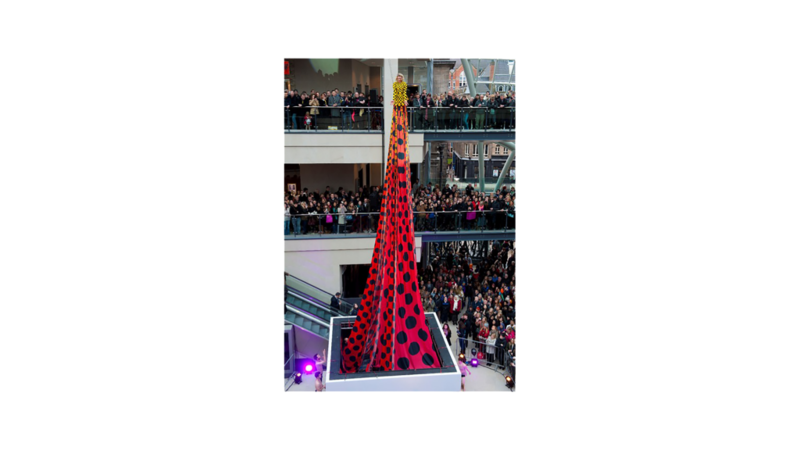 A Cirque du Soleil performer was revealed from a giant gift box wearing a 15m Henry Holland dress. The performer floated up to the glass roof through the special effects of invisible rigging. Along with dramatic music, the reveal created a stunning visual statement for 10,000 shoppers who attended the event.